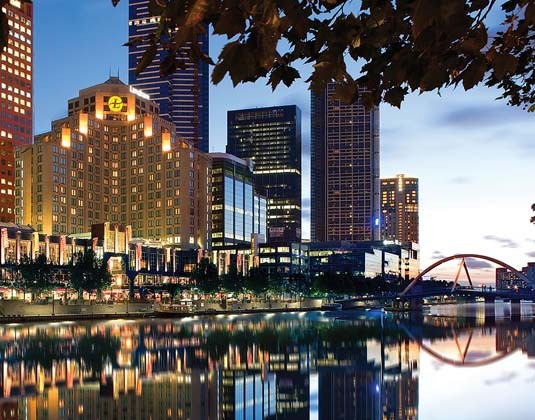 This lovely hotel nestles on the famous Southbank Promenade amidst the city's Arts and Leisure District, with sweeping vistas of the Yarra River and Melbourne skyline. 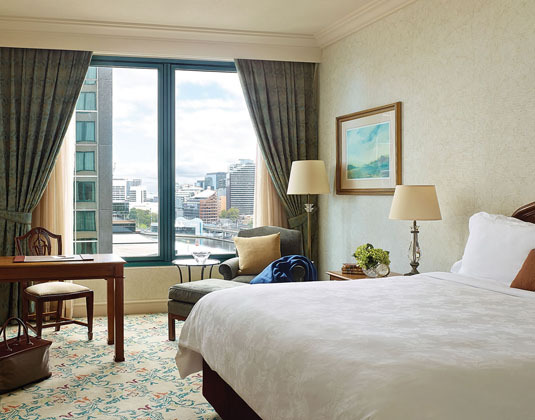 Guest rooms reflect an understated elegance with rich fabrics and a timeless ambience, with views of the river or the city. The award-winning Chuan Spa has an array of treatments, while the Melba Restaurant has cuisine to delight even the most discerning palate. Deluxe river rooms * executive river rooms which include continental breakfast, afternoon tea, all day tea/coffee facilities & snacks, evening aperitifs and canapés all in the Langham Club lounge (for two people). FREE nights in executive river rooms 4 for 3: 01 Apr-27 Sep 18. FREE daily breakfast for two: 01 Apr-27 Sep 18 if you stay at least 3 nights in a deluxe river room. Honeymoons: 01 Apr 18-31 Mar 19 if you stay at least 3 nights in an executive river view room receive a couple's spa treatment.